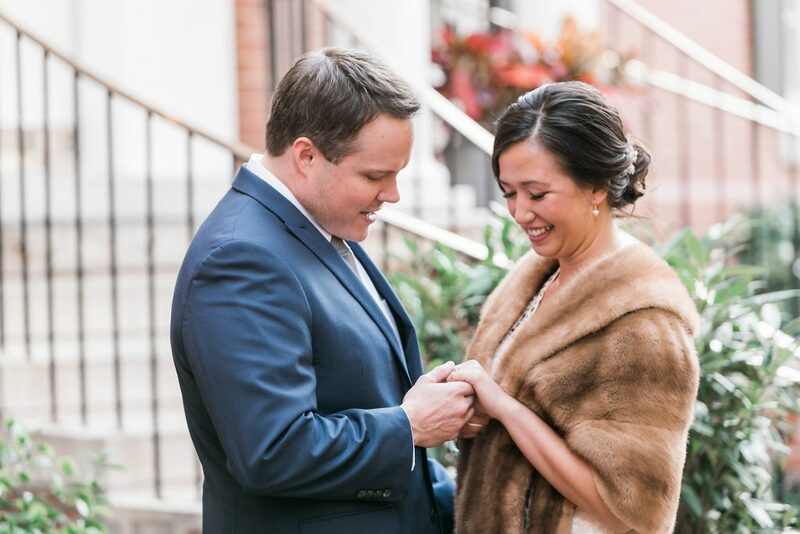 It’s been embarrasingly long since I’ve blogged a real wedding, but I am excited to share Jeannie & Chris’ self-submitted, intimate Alexandria Virginia wedding with you today! 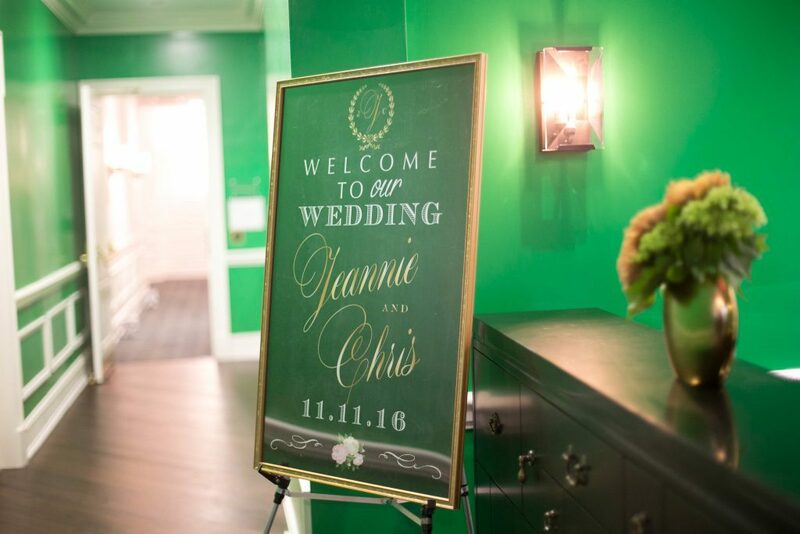 With just 65 guests, 6 months to plan, and a $25K budget, Jeannie & Chris threw a beautiful, fun affair that stayed true to their personalities and love of DC. 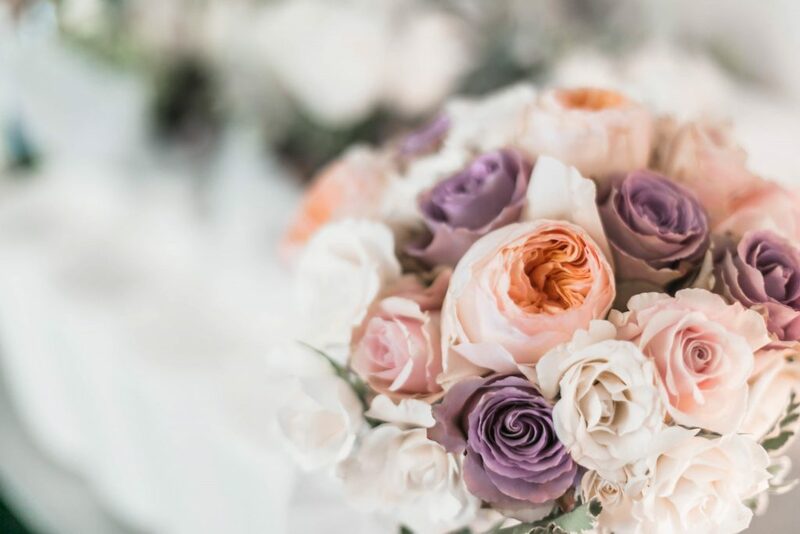 They’ve also shared some AWESOME advice for other couples looking to plan a wedding on the faster side of things, without hiring a planner to execute! Take it away guys! We got engaged in June of 2016 and knew we wanted to get married sooner rather than later. 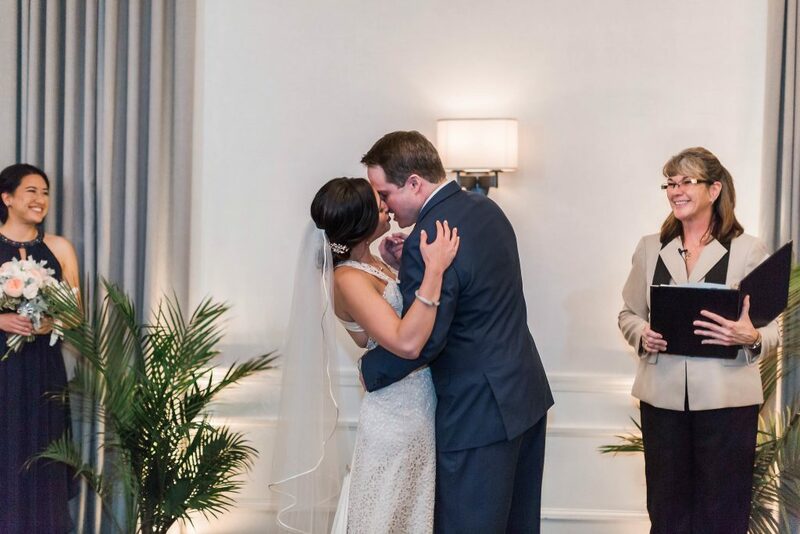 In the DC area, larger wedding venues often have waitlists over a year long. 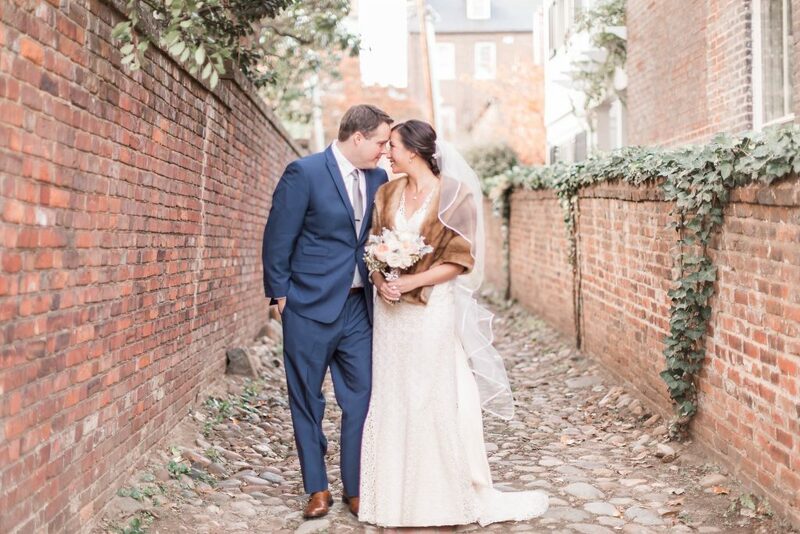 As much as we would have loved to have a large wedding, it would be too expensive in the DC area and we would have to wait a long time to reserve a venue. We considered a Caribbean destination wedding but realized many of our relatives could not travel that distance and many of our close friends would not come because of Zika virus. 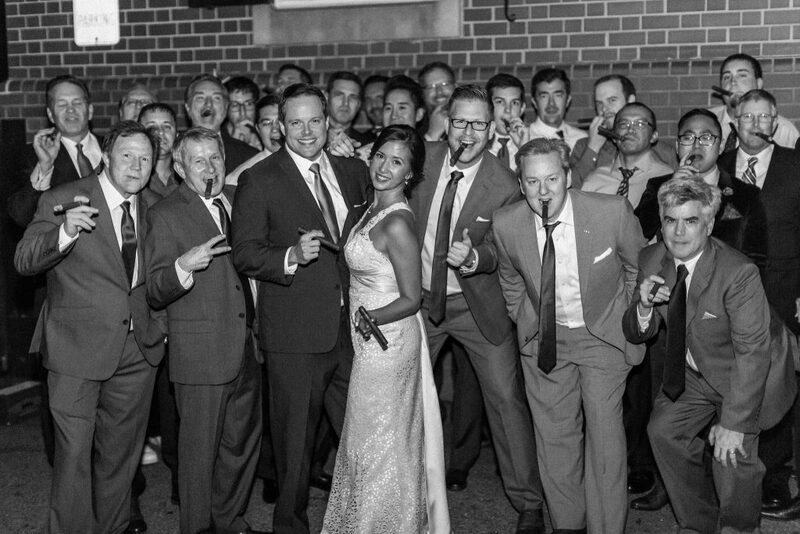 We had to prioritize; the most important thing to us was to celebrate our day with our closest friends and family. Most of our families would need to travel so we wanted a location that was convenient and could also double as mini-vacation for out of towners. 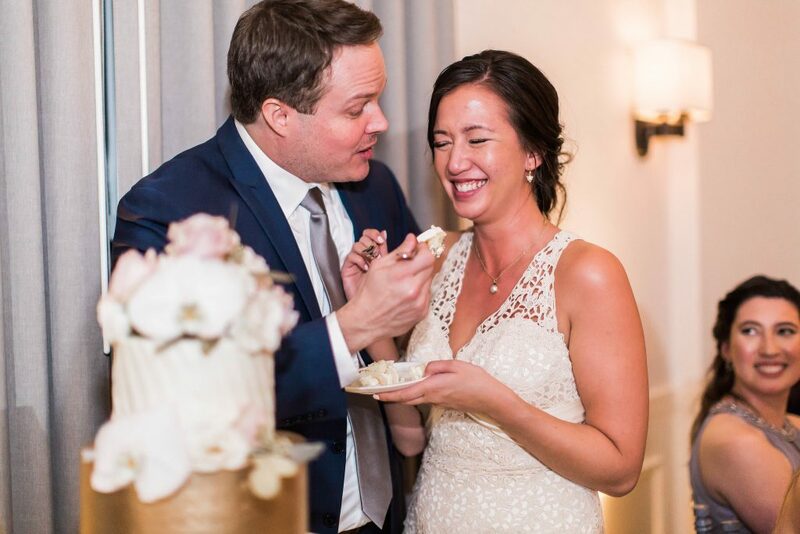 We really wanted our wedding ceremony and reception to be in the same location so that guests could start celebrating immediately after the ceremony. 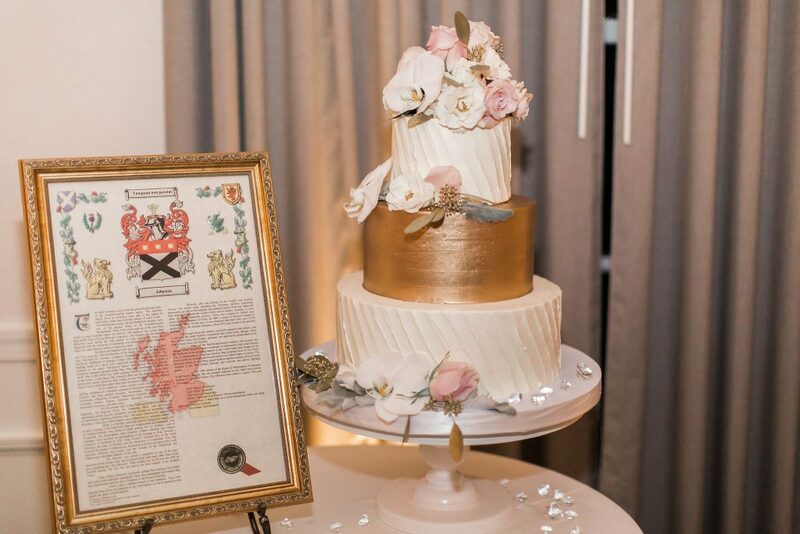 The Morrison House also offered complete wedding packages that included all catering, an open bar, and even a beautiful cake from Fluffy Thoughts bakery. 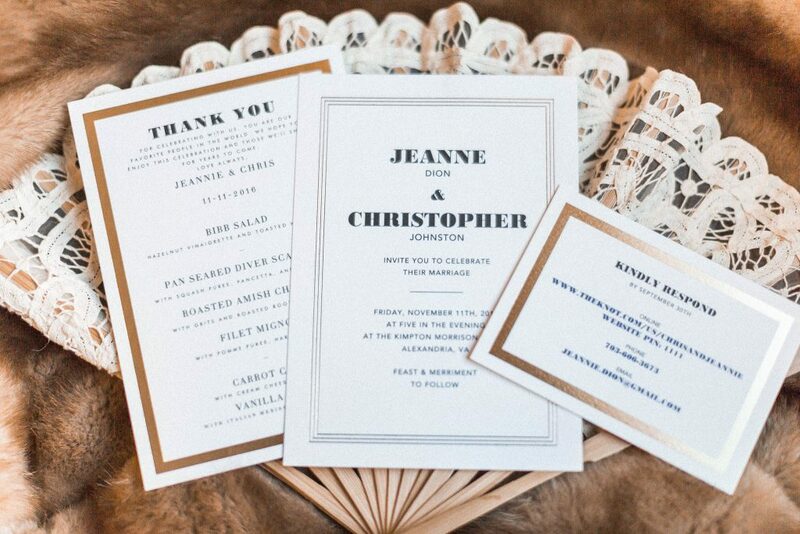 We felt like the Morrison décor reflected both of our styles: traditional with elegant and modern accents. 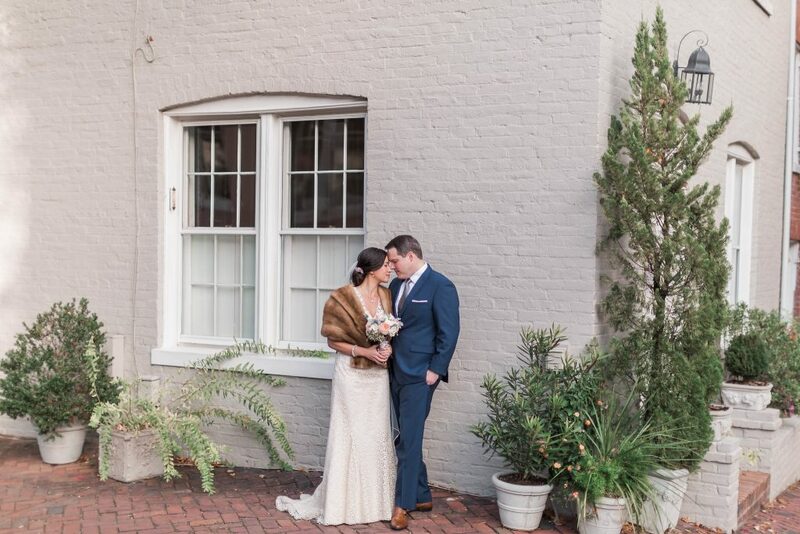 We immediately booked the venue when we saw it was available on Veteran’s Day. We were fortunate to enjoy a Friday discount on the wedding package. 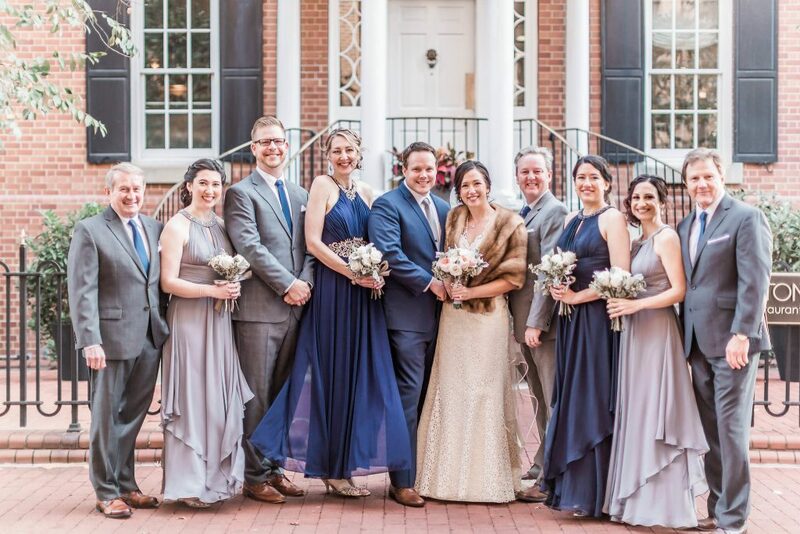 The Morrison House was the perfect location and size for our small guest list and the all-inclusive wedding package made for stress-free planning. 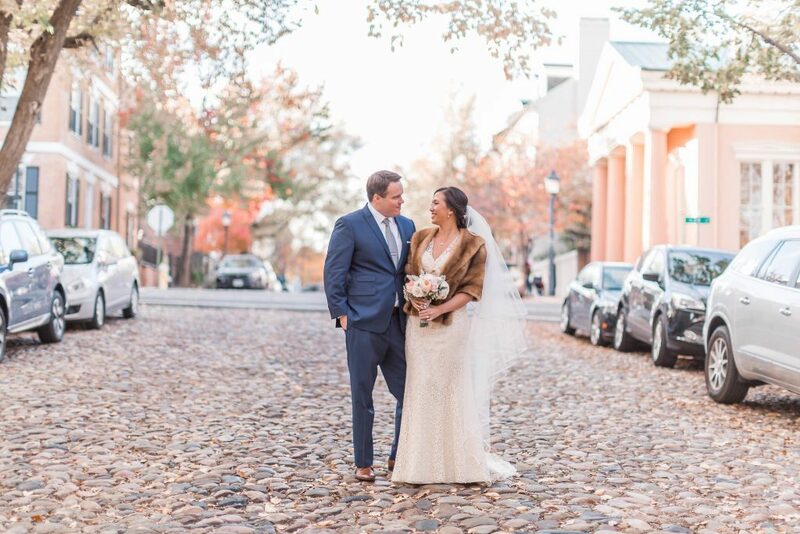 Our photographer, Andrea Rodway, took us to picture-perfect cobblestone alleys and streets in Old Town for our first look and portraits. Our colors were grey, navy with gold accents. 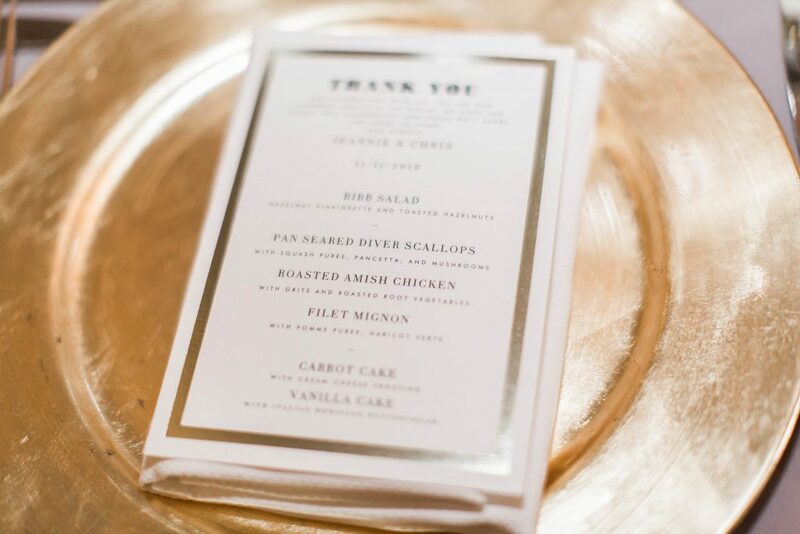 I loved the grey-navy-gold color pallet because I knew we could mix and match different shades and tones and still pull off a cohesive look. 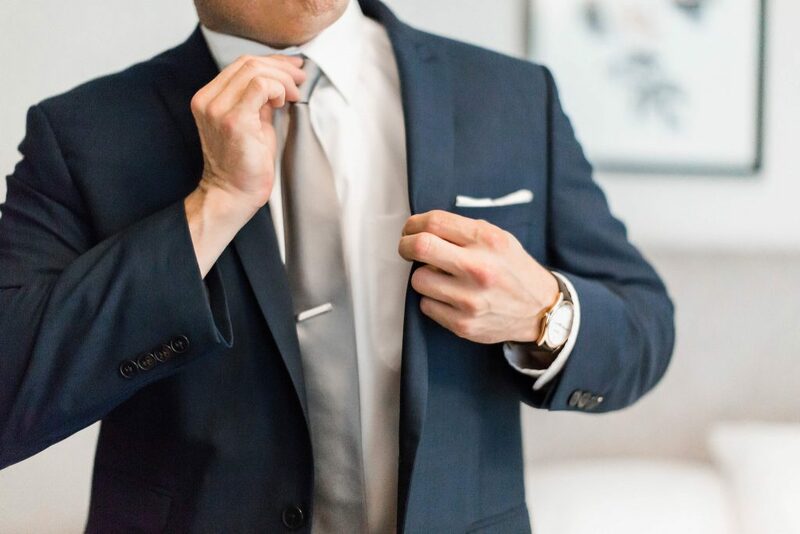 Chris wore a navy suit he already owned and his groomsmen each wore their own grey suit. 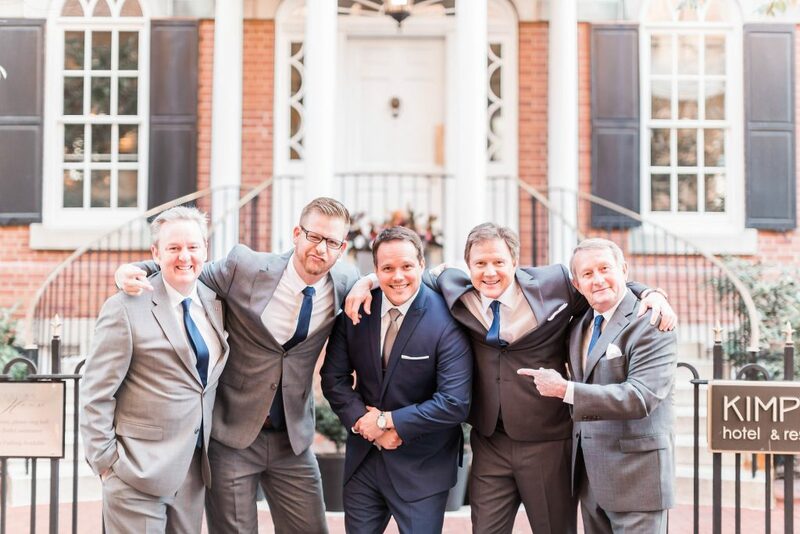 To tie the look together we gave the groomsmen matching navy ties and white pocket squares from Men’s Wearhouse. 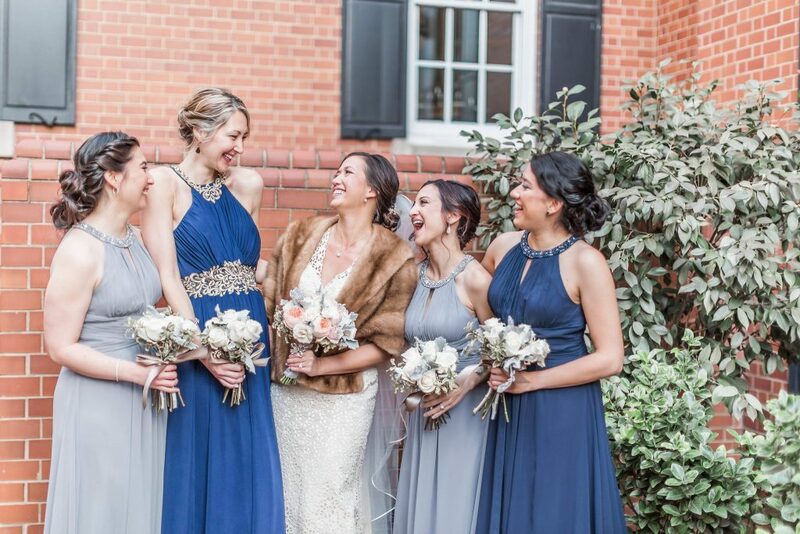 The maid of honor and matron of honor wore navy and the other bridesmaids wore silver dresses from Nordstrom. 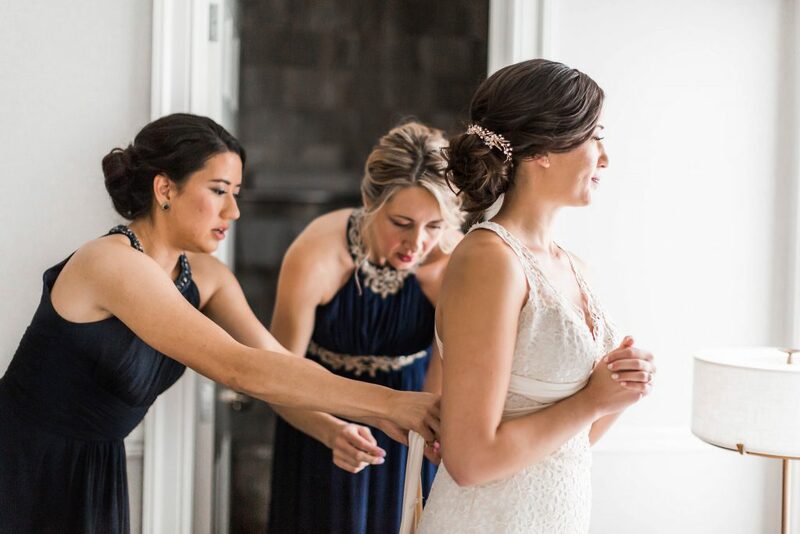 My matron of honor actually wore a different navy chiffon dress to accommodate her pregnancy- it worked out perfectly! The Morrison House banquet room already had grey and gold accents. 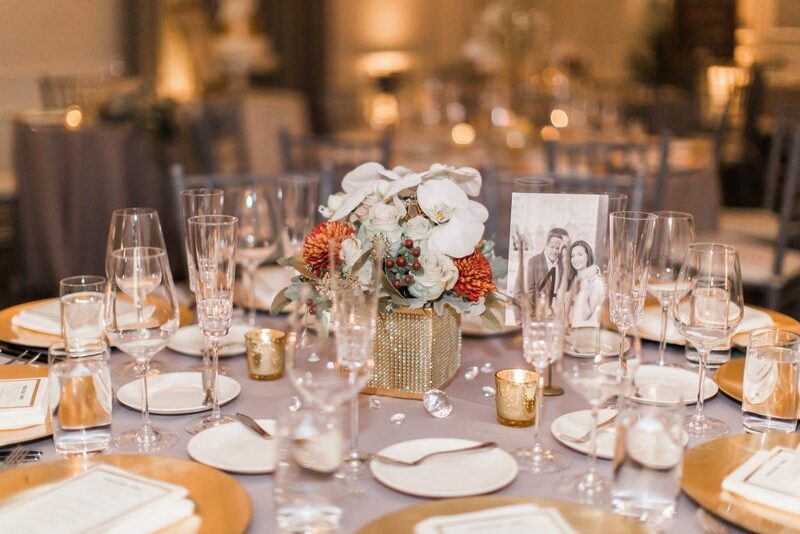 The venue included grey chiavari chairs and gold charger plates. 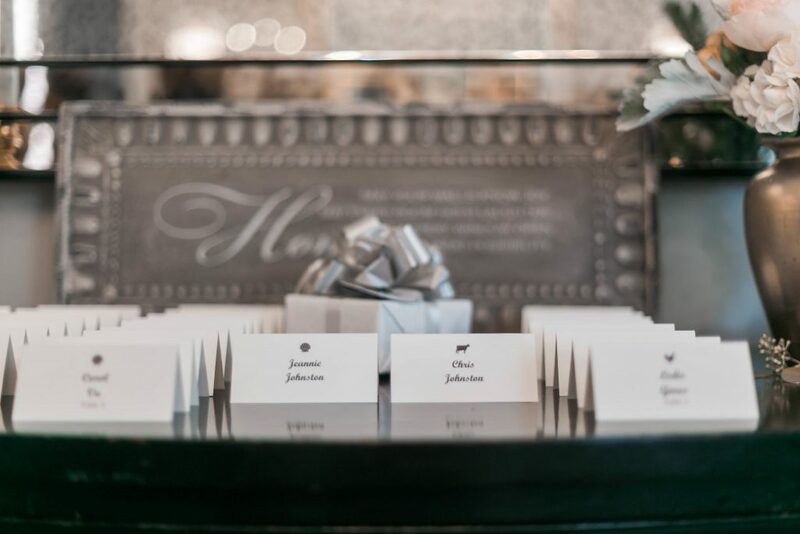 We rented light grey linens from Capital Party Rentals. 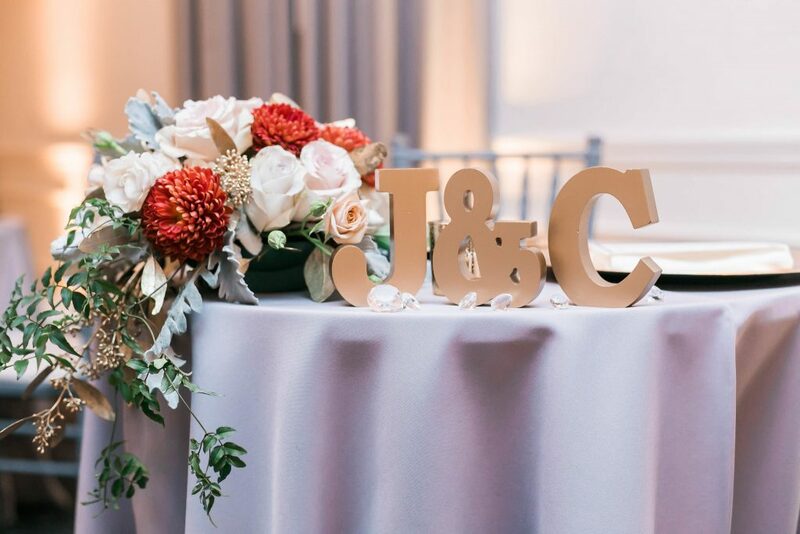 For centerpieces we borrowed gold manzanita trees and trusted our talented florist to tie it all together. One of our favorite parts of the wedding was our string quartet Kennedy Quartet. 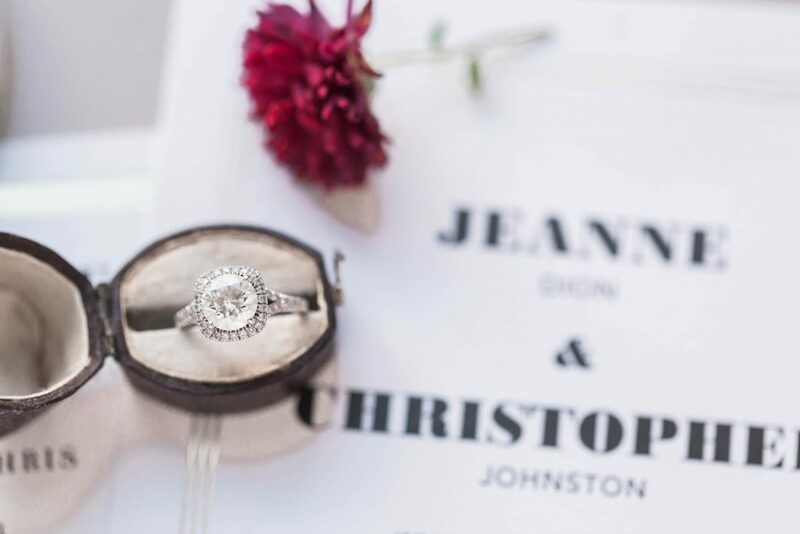 For the Ceremony recessional, they played the Game of Thrones theme “Song of Fire and Ice.” It’s one of our favorite shows and made us feel like royalty! 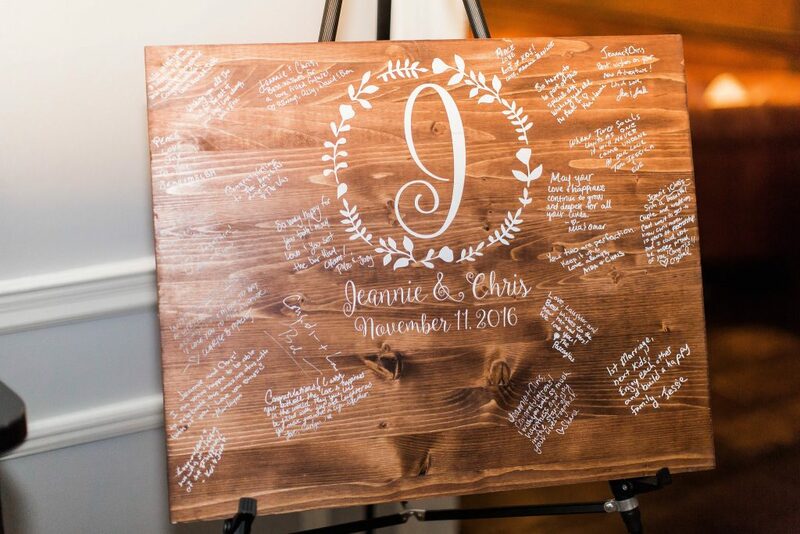 We had an intimate wedding with 55 guests and initially had a fear that the reception would be boring or awkward. Thanks to our DJ, EVERYBODY danced the whole night. We decided to splurge on uplighting for the ceremony and reception- it was totally worth the cost. The ceremony uplighting was soft natural light that set a classy ambiance without the need for any other pricey decorations. The uplighting for the dinner was also soft and natural (candlelight). Then once it was time for dancing, the lighting changed and it was like a night club the rest of the evening. 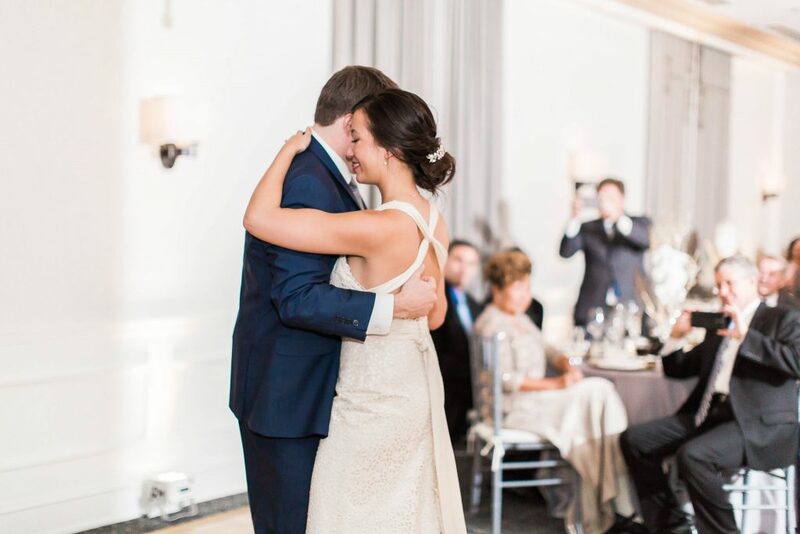 So many of my guests said they loved the DJ and had so much fun dancing! We definitely created some unforgettable memories thanks to DJ Mike! Cherry Blossom Designs ~ Get Them Before They’re Gone! LOVE LOVE LOVE! 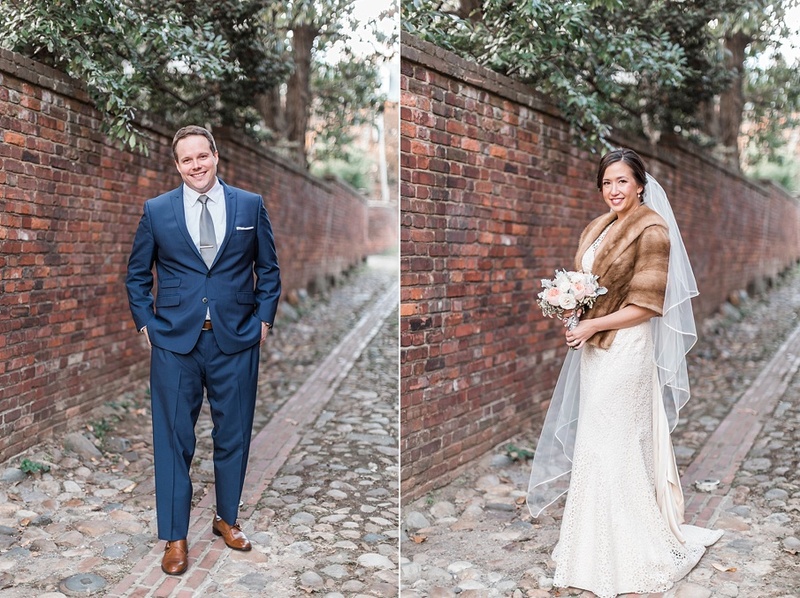 Thank you SO MUCH for featuring this amazing couple! XOXO!